Located in the core of Republic of Macedonia, Veles is a predominantly industrial town where the production of porcelain, silk and lead flourishes. Veles’ old town with its steep and winding lanes flanked by traditional wooden houses is perfect for enjoyable afternoon outings. 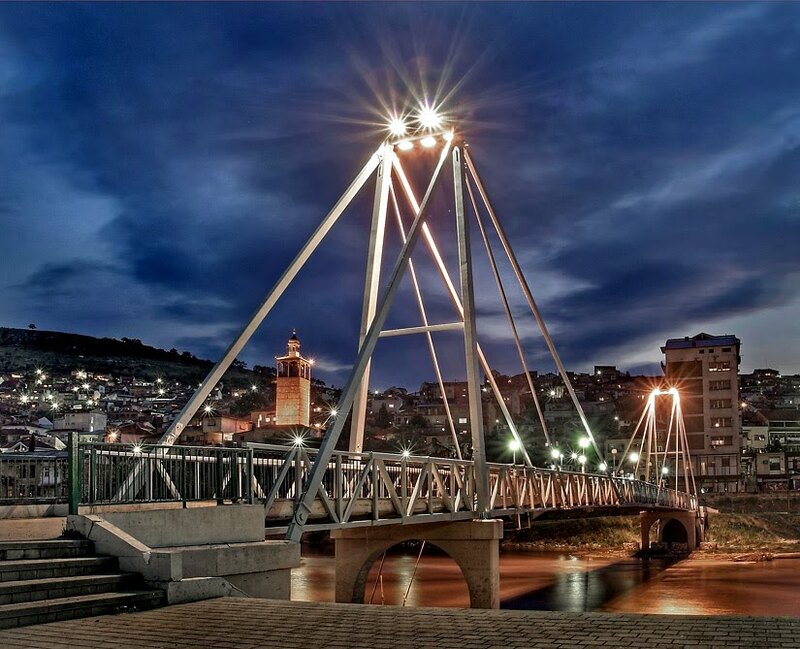 The city’s central location makes Veles easily accessible and its historical and natural attractions make it well worth for a visit. 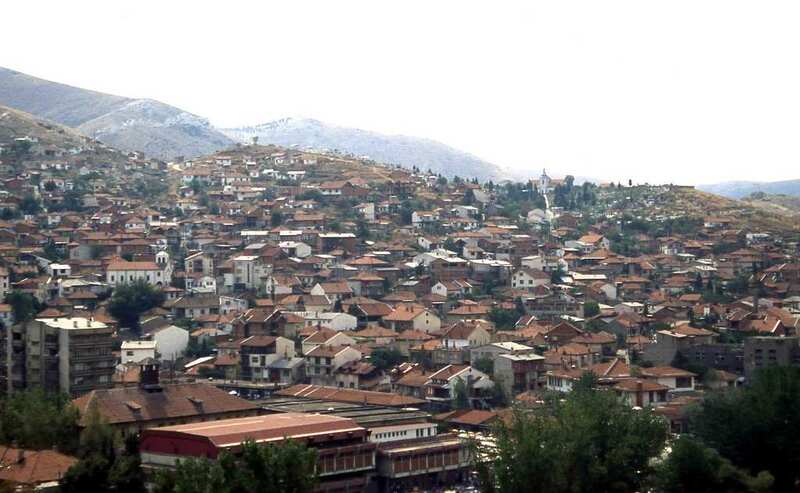 Veles has always been an important trading center. Located on the vital commercial road that joined the northern parts of the Balkan Peninsula with the Aegean Sea, it reached its zenith in the 19th century, when the river Vardar was used as a transport highway. 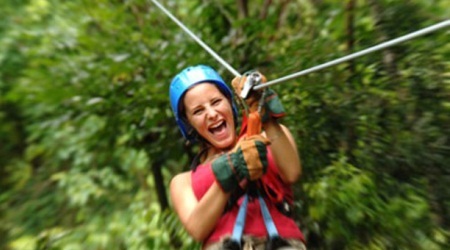 The city of Veles is surrounded by forested mountains to the west, ideal for hiking or camping. 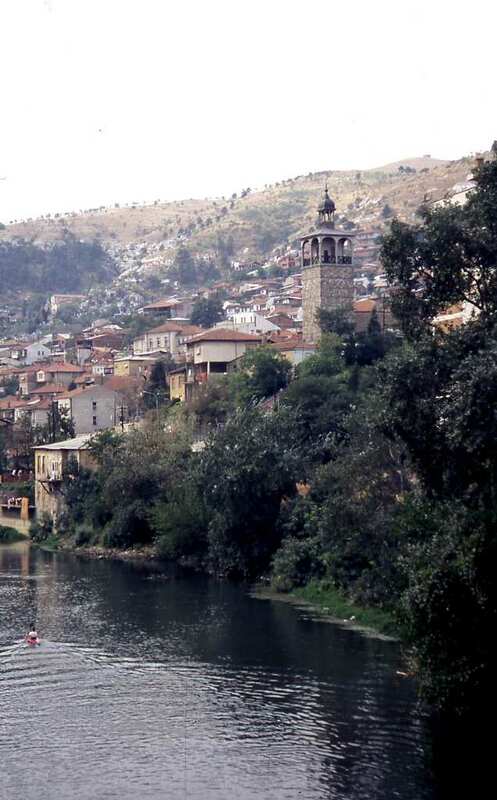 If one takes a thirty-minute’ drive west of the city he would come upon the tranquil mountain village of Bogomilija. Bogomilija was named after a heretical Christian sect which was very popular in this part of Macedonia during the 10th and 11th century. The city of Veles is very proud to be the birthplace of the founder of the Macedonian modern literature, Kocho Racin (1908 – 1943). Being as he was, a great Macedonian revolutionary, writing articles, essays and works with themes from the history, literature and philosophy, Racin contributed to founding and developing of Macedonian Literature. His most famous work was a poem collection named “White Dawns” in 1939. In his honor an annual Balkan literary festival is being held in Veles. Macedonians from Veles are reputed to speak the purest quality of the traditional Macedonian language, untainted by regional dialects. The area of present-day Veles has been inhabited for over a millennium. In antiquity, it was a Paionian city called Bylazora, and contained a substantial population of Thracians and possibly Illyrians. For short period it was a Bulgarian city in the First Bulgarian Empire and the Second Bulgarian Empire, later it was part of the Serbian Empire in the early 14th century and the town governor was Jovan Oliver during the time of Emperor Dusan, it was part of Konstantin Dragas realm in 1355-1395. 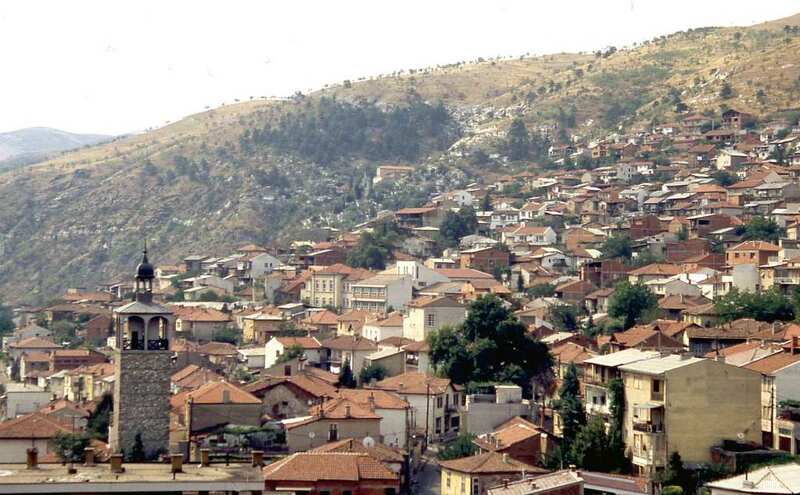 Before the Balkan Wars, it was a township (kaza) with the name Köprülü in Uskub sandjak, vilayet, Ottoman empire. If you are considering to go with a bus you have a dozen of buses between Veles and Skopje.Time travel is 1 hour.Price for one way ticket is 120 denars/2 EUR and two way tickets is 200 denars/3,2EUR. Time of departure from Skopje: 04:15, 06:00, 07:30, 08:05, 08:15, 08:30, 09:00, 09:30, 10:00,11:00, 12:00,12:05, 12:30, 13:00, 13:20,13:45,14:00,14:30,15:00,15:15,15:30,15:45,16:00,16:30,17:00, 17:30, 18:00, 18:30,19:00, 19:30, 21:00. If you like to go to Veles by train the time travel is between 1 and 2 hours.Price for one way ticket is 120 denars/2 EUR and for two way ticket is 180 denars/3 EUR. Time for departure from Skopje: 06:05, 06:48, 09:00, 13:20, 14:30, 15:20, 16:50, 17:10, 19:35, 22:40. If you are not comfortable to travel by train or bus,you can always get a taxi.The price for one way is more or less3505 denars/ 57 EUR. If you'd like to explore the land during your travel to you can go with a car or rent a car.Distance between Skopje and Veles is 56 km.